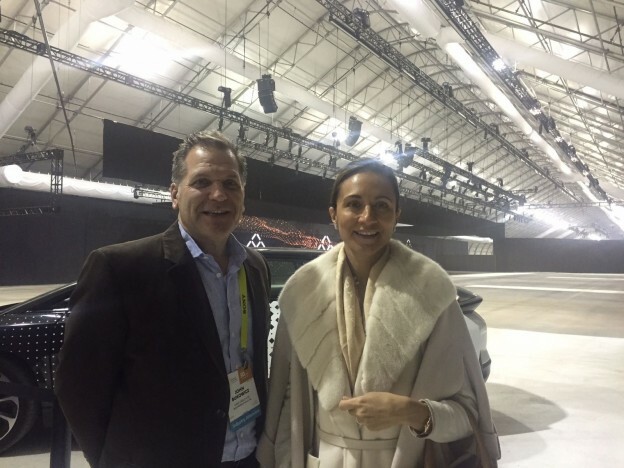 John Bukowicz, LIASE Group Managing Director Americas (left) and Vanessa Moriel, LIASE Group Managing Director Asia (right) pose for a picture in front of Faraday Future’s FF91 testing track on press day. LIASE Group attended the 2017 editions of the Consumer Electronics Show (CES), from January 3-6, and the Consumer Telematics Show (CTA), on January 4, in Las Vegas. LIASE Group benefitted from this year’s events by mingling and networking with global automotive executives, leaders and disruptors during this major trade show. Celebrating its 50th anniversary, CES has over the years become a leading event in the automotive industry, where car lovers and automotive leaders are introduced to the latest technology and innovations. At the same time, they get a preview of the direction in which the industry is going, with self-driving cars and artificial intelligence in the spotlight this year for example. The 2017 edition offered many new products which will be reaching the market in the future. 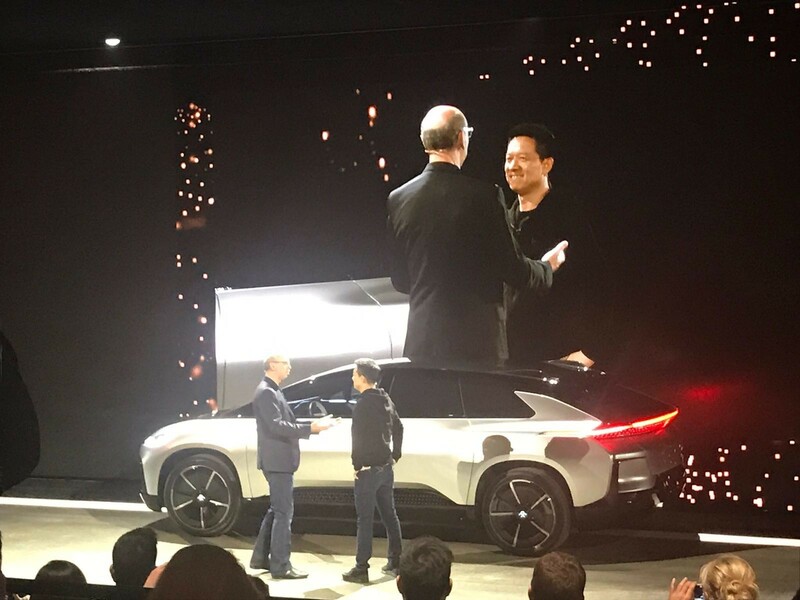 During his keynote address, Nvidia founder and CEO Jen-Hsun Huang presented Xavier, a computer which gives every car the ability to have artificial intelligence. Huang wants to do so by working with companies like Audi and announced a partnership with the president of Audi of America, Scott Keogh, which will bring self-driving Audi cars by 2020. BMW introduced HoloActive Touch, a new holographic control interface which offers reactive floating graphics over the car console, by using a projector, a camera and a speaker. BMW sees this innovation as a future form of their iDrive control system. BMW also presented its well-established BMW 530, combined with the Personal CoPilot technology, its automated driving feature, which keeps a car’s speed and lane positions on highways. Finally, BMW also presented the addition of Cortana, Microsoft’s digital assistant, to their cars, which integrates the system’s voice-controlled commands while driving. Honda added an emotional component to driving with its new concept, the NeuV. This electric car lets users customize their experience by enabling cars to be aware of the driver’s emotions, through Honda’s Automated Network Assistant. Instead of remaining idle while parked, the car, built for ride-sharing, will have the ability to drive around to find passengers, therefore creating a revenue stream for the owner. Bosch also introduced a new concept car, which uses facial recognition to adapt its settings to the preferences of the user, therefore controlling the radio station, the mirror positions or the temperature. Toyota presented the Concept-i car, which has an artificial intelligence component named Yui, designed to provide a warmer and friendlier experience. Faraday Future unveiled FF 91, its first electric car. While the car is not ready for production, the company says it will have a range of 378 miles and will charge at more than 500 miles per hour. It will also remember the preferences of passengers, in whichever seat they pick. The vehicle will also offer autonomous driving. Ford confirmed it would integrate the Amazon Echo smart home device in their cars, which means users will be able to play audiobooks, order items on Amazon, and also remote start the car and control the doors. Ford also presented the Fusion hybrid autonomous vehicle. Hyundai announced its Blue Link service would support Google Assistant with Google Home’s voice control speaker, to facilitate the driving experience, but also controlling different elements like the car’s temperature. Hyundai also displayed the electronic Ioniq car, its own autonomous prototype. Google and FCA will create a concept Chrysler 300, built to run Android 7.0, which means Android Auto can run directly on a phone instead of being limited to new cars or new display heads. -Carlos Ghosn, Chairman and CEO, Nissan Moto Corporation, Ltd.
-the relation between man and cars. Finally, Roger C. Lanctot, Associate Director, Global Automotive Practice, Strategy Analytics, presented a closing keynote on the biggest tech trends and the business models disrupting the automative industry this year. 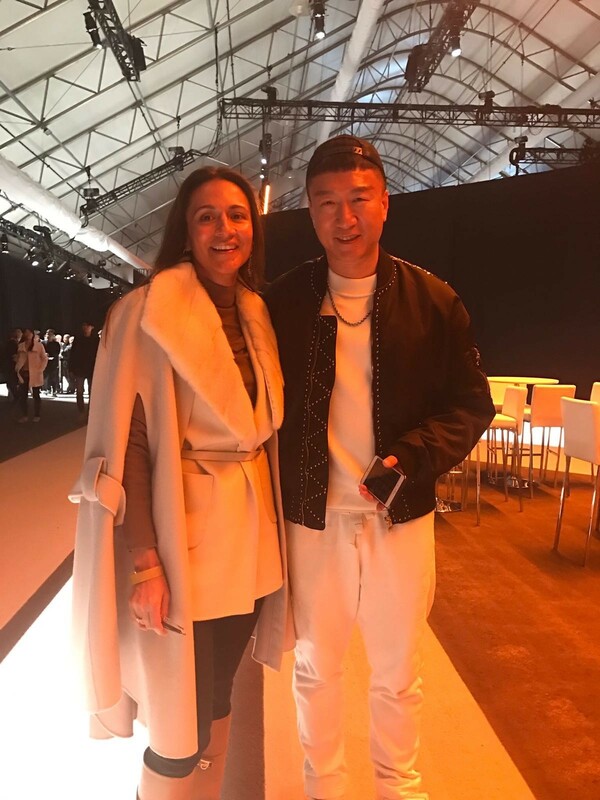 Vanessa Moriel, LIASE Group Managing Director Asia poses with Chinese Celebrities at CES press day 2017 in Las Vegas. 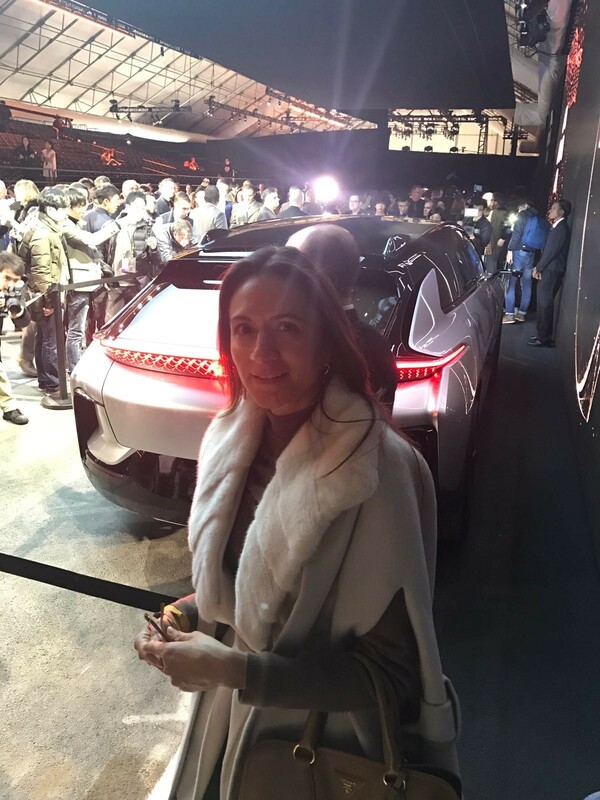 Vanessa Moriel, LIASE Group Managing Director Asia stands in front of the newly revealed FF 91 SUV at CES 2017 in Las Vegas. With the FF91, Faraday Future hopes to rival Tesla in the high-end all-electric car market. 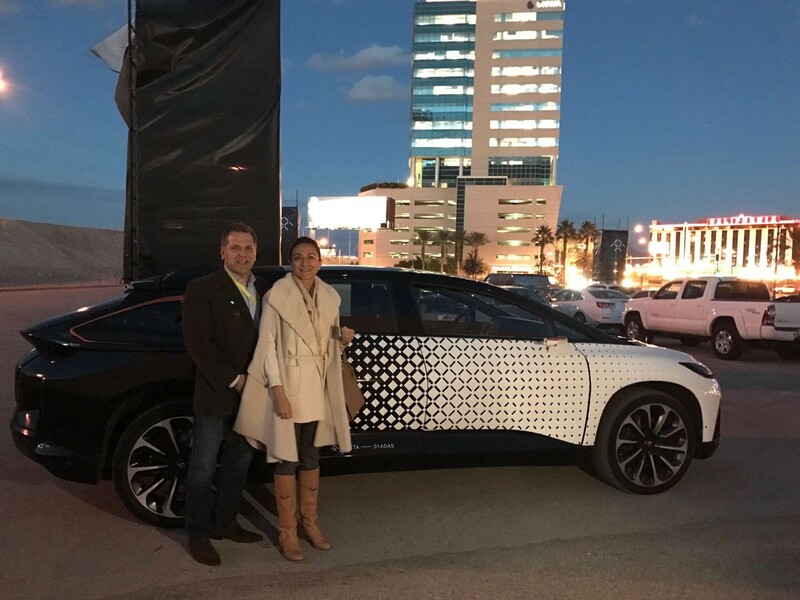 John Bukowicz, LIASE Group Managing Director Americas (left) and Vanessa Moriel, LIASE Group Managing Director Asia (right) pose in front of the FF91 reveal outside of CES 2017 in Las Vegas. Nick Sampson, SVP of R&D & Engineering for Faraday Futures welcomes Jia Yuetieng, Chief Executive Officer of LeEco to the stage during their press conference at CES 2017. 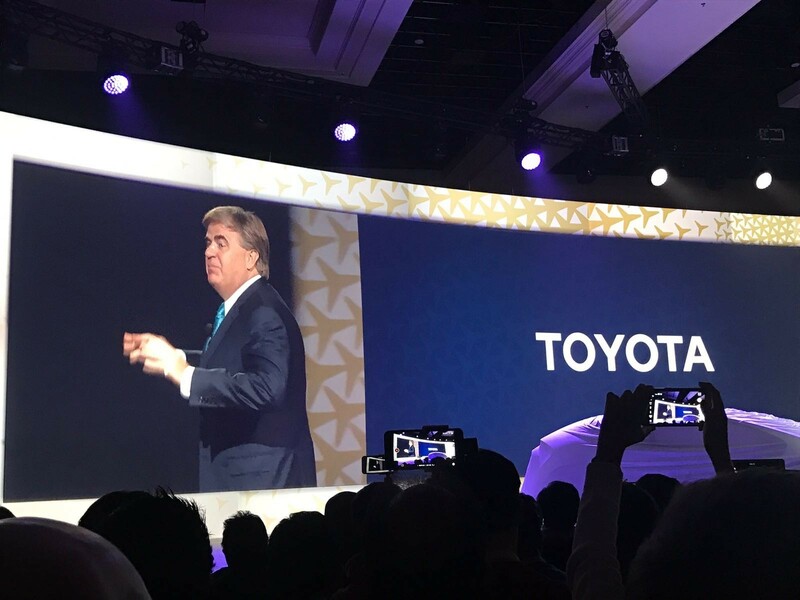 Robert Carter, Senior Vice President – Automotive Operations at Toyota Motor Sales, U.S.A. Inc., presents during the reveal of the Toyota Concept-I, a fun twist on the driverless car concept. 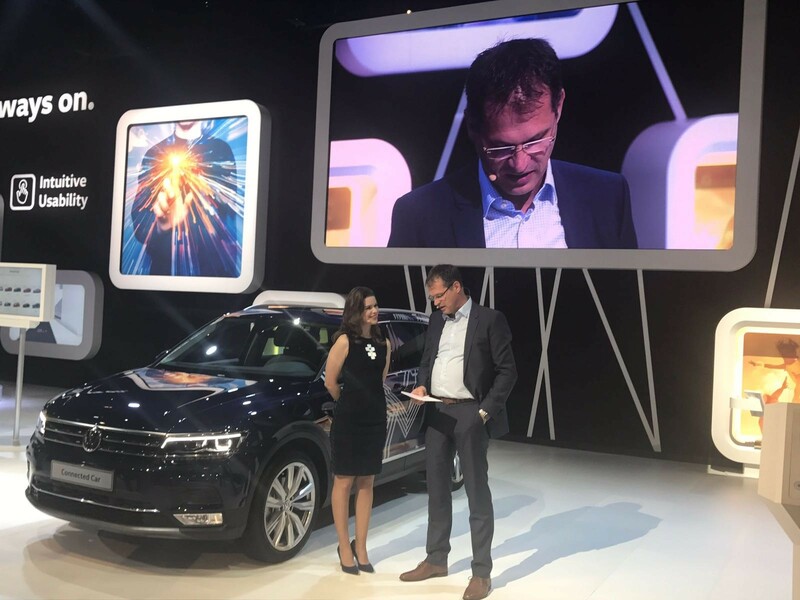 Dr Volkmar Tanneberger, Head of Electrical and Electronic Development at Volkswagen duing Volkswagen’s press conference at CES 2017. Volkswagen focused it’s presentation on connectivity developments in its cars. 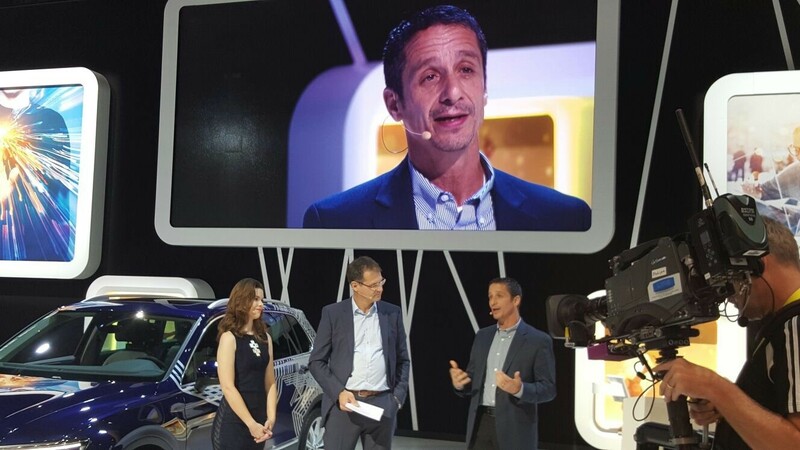 John Scumniotales, General Manager, Alexa Automotive Domains at Amazon speaks during the Volkswagen press conference at CES 2017. Volkswagen announced it would be integrating Alexa, Amazon’s voice controlled virtual assistant, into its cars. 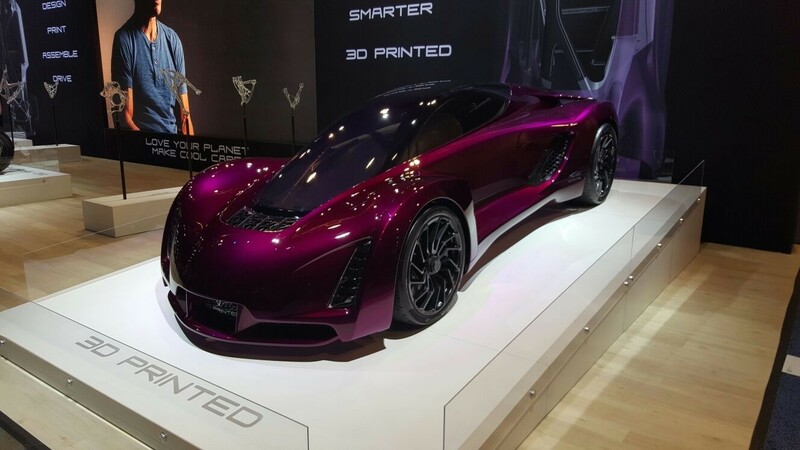 Divergent, an automotive 3D printing company, displayed their impressive ‘Blade’ car and ‘Dagger’ motorcycle at CES 2017. 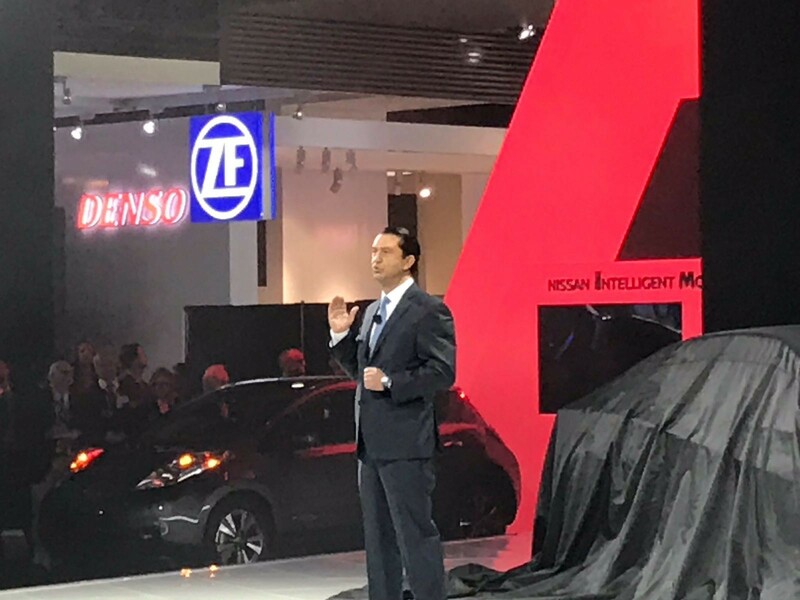 Jose Munoz, Chief Performance Officer at Nissan Presents at CES 2017 in Las Vegas.